Piadina (in English “flatbread”), is one of the most popular dishes of the Emilia Romagna region, and it is certainly appreciated all over the country. It looks like a pastry disk, made of flour, lard, salt and water, and it is traditionally cooked either on a terracotta dish or metal griddle over hot coals. Piadina has an ancient history dating back to the Etruscans, who prepared a batter of cereals similar to piadina. For many years, this flatbread was considered a peasants’ meal because the ingredients are simple and easy to find. 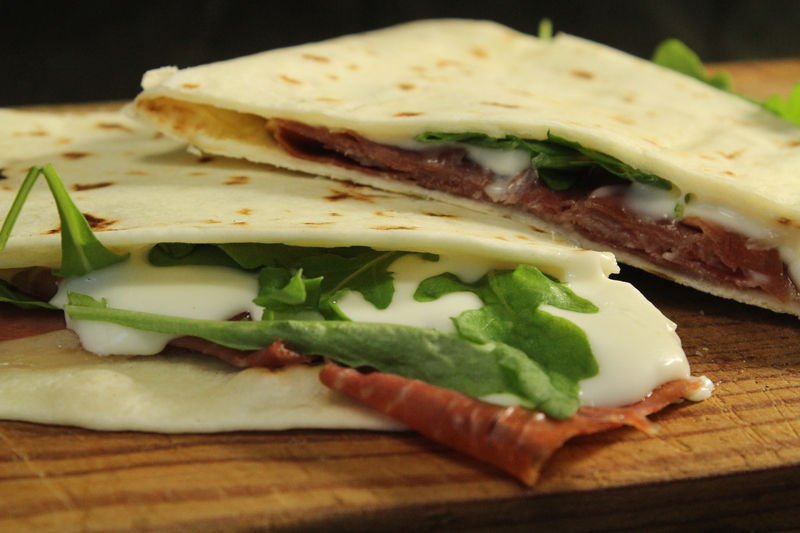 The traditional piadina is filled with Parma ham (prosciutto crudo), squacquerone or crescenza, fresh and tasty cheeses, quite soft and mild tasting, and of course with arugula (rocket) which gives the sandwich a zesty taste to munch on! 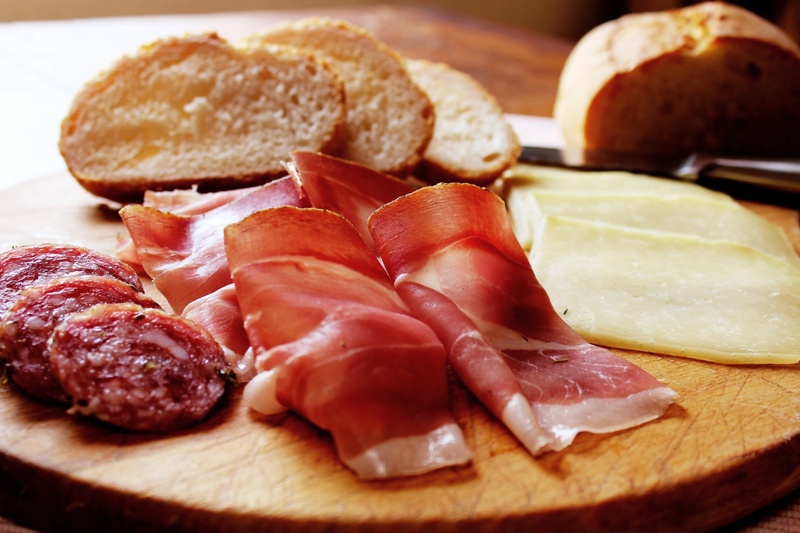 It is also delicious when it is spread only with cheese and arugula, and a perfect foil for cold cuts or grilled sausages too; actually the choice is unlimited. It is up to you to decide how you prefer to enjoy it. It is an ideal dish for lunch, for a quick snack during the day. It can also be consumed as a substitute for bread to accompany various dishes. It is an excellent cookout bread. The homemade piadina, of course, has a distinctive flavor and aroma, but nowadays it is very common to consume pre-cooked piadina which is then heated on a griddle and then filled at the moment. 7. Fold in half and serve warm.